Designer’s Life: Have you ever been into that moment when the idea was just striking you and an interruption ruined it all?? Door Tags are your only saviors in that case. Some people really need to learn this. One ought to knock the door before entering into someone’s room. And especially when a designer is at work! When you suddenly enter a Designer’s zone, it might screw up everything. The last-minute touch-up, the proofreading, or that unwanted little creature at the corner of the image. The whole image is at stake actually. You never know, in what state of mind the designer is! However, we always want our designers to overcome frustration and be happy even at work. But, the toughest time for a designer is when the deadline is nearing. And trust me, friends, the deadline is always nearing!! Lol!!! 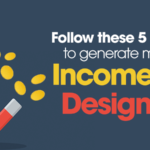 Another tough situation for designers is the criticism that a designer has to face after he has sent the design for approval from his design manager or even from his client. The designer should, however, not lose his calm and try to give his best to the assignment. Thus, to avoid unwanted visits and to keep the undesired people at bay, these door tags will express the most honest feelings of a designer. When a designer is irritated or deeply involved in some work, it is advisable not to interrupt. It is otherwise a little impossible to convey your message out there. A designer who is already struggling with work hardly has any time and energy left to keep people away. These door tags very well focus on the target audience to take a notice of what the designer wants to say to them. 2. Do not come in unless you have coffee or beer. 3. Waiting for a creative burst at 3 am… Do Not Disturb!! 4. Criticize with caution… It took hours to create it!! 5. Free Work?! I’m not a volunteer! 6. 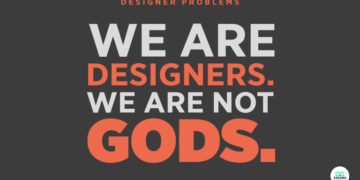 I’m a designer, I’m not God… Brief me well! 7. SHhhhh… Designer at work!! 8. Calling my muse… Where the hell have you been?! 9. My work here is done! I’m gone for the day. 12. Please enter slowly… Designer might get scared and cry violently! 13. Don’t force me to use Comic Sans. Back off!! 14. Leave the premises asap… Don’t sit for too long! 15. Remind me to save. Click below to download a printable file for your own rescue!! And remember, Sharing is Caring! !